This article was first posted on LinkedIn, you can also view it here. We decided a while ago that this weren’t going to become a market commentator, yet the situation in China demands our attention. We are here, it’s weird and we can help inform overseas investors since we have seen a lot of nonsense online and on CNBC and Bloomberg that is passing uncontested. What is going on? Is it a sign of impending doom? What are the implications for the future? It isn’t the end of the world. Not even close. 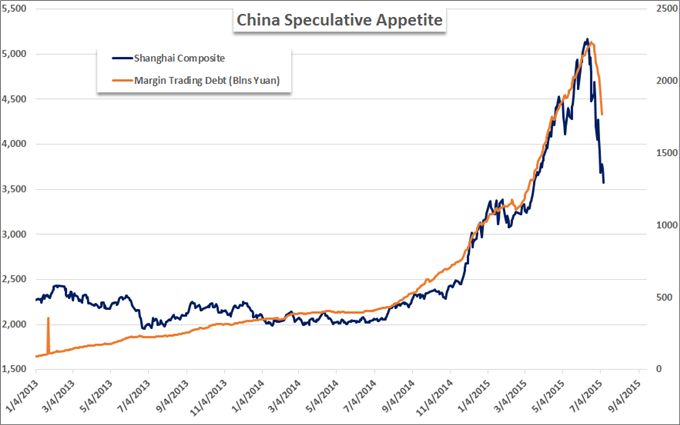 In the western world the market reflects expectations of the economy, but in China that assumption couldn’t be more wrong. Consider the economic boom from 2000-2009. The Chinese stock market didn’t change at all in the period of 2000-2005. Indeed it fell 7% at a time of 10-12% per annum growth. There isn’t a correlation at all. The Shanghai and Shenzhen stock markets are actually a reflection of government policy, and the boom of 06-07 and the recent one, were both initially the product of the government trying to support market development for its own reasons, and then the herd arrived. This has happened before and it will happen again whilst the government is seen (rightly so) as influencing the market. This combined with the small amount of floating shares being chased by a large population without a domestic casino (Macau not included) to chase their gambling urges, will continue to make the market alternate between sleeping and insanity. 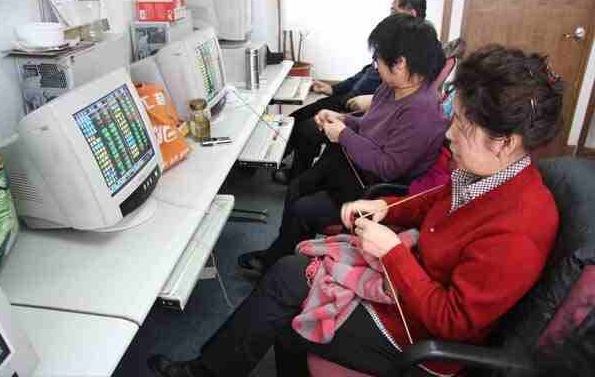 The China market is dominated by 70-80 million average investors since pension funds don’t typically invest on the stock market. Estimates of 60-75% of market trades being by average punters in regional banks and securities companies abound, and many of these were offered, and accepted, margin accounts. This worked wonderfully until the bubble burst and many will be left owing money to brokers and possibly even to relatives and friends whom they borrowed money in the beginning to open or expand their accounts. Getting true numbers on shadow leverage is impossible but anecdotally according to my securities company sources, it is very real. This isn’t going to lead to an economic collapse since most Chinese (80 million is still less than 10% of the population) still have big bank savings and significant property assets. The victims although big in most countries terms will be acceptable numbers in China. Further the government still controls the funding and economic levers to avoid any systemic risk, but it will make the transition to a market based economy tougher. Implication 2: Transition to market gets tricky – Can the market be trusted? The biggest change in government policy since probably Zhu Rongji has been the push by Premier Li Keqiang, and to a lesser extent Xi Jinping to reform the financial sector and to allow the market to make asset allocation decisions. The reasons for this are clear. China is littered with poor investment decisions: luxury villa and apartment developments in the middle of no-where, empty malls and massive overinvestment in heavy industry to name just a few. The idea is to get the market involved and the drive to have a healthy stock market is a big part getting money flowing through the market, and not state owned banks to connected firms. It is the right strategy, but the recent market collapse may convince some, possibly too many, that the market can’t be trusted. That the government will always be needed. Worse, it may convince some that the government will always be there to bail them out, thus doing away with any need to do fundamental research. Too many Chinese investors look at the wrong things: price graphs for the trend or the government connections, whilst practically none actually look at the company accounts and filings properly. The so-called “Greenspan Put” pales in comparison. Even now boards are almost never independent and on the main Shanghai board most companies still have dominant government shareholders. That the market can’t be trusted, or ‘the government will always be there to save me’, are the exact opposite of the lessons from what the government was hoping to achieve. Any delay or stop to market based reform would be the true problem to result from the recent market collapse. Can it be avoided? We cross our fingers and hope. Owen first lived in China in 1997 and has lived in Shanghai since 2005 working in various financial consulting and portfolio management roles before co-founding Caterer Goodman Partners in 2011. Owen specializes in portfolio management and financial advice. He is a passionate advocate for fee based financial planning and the educating the general public in investment topics.